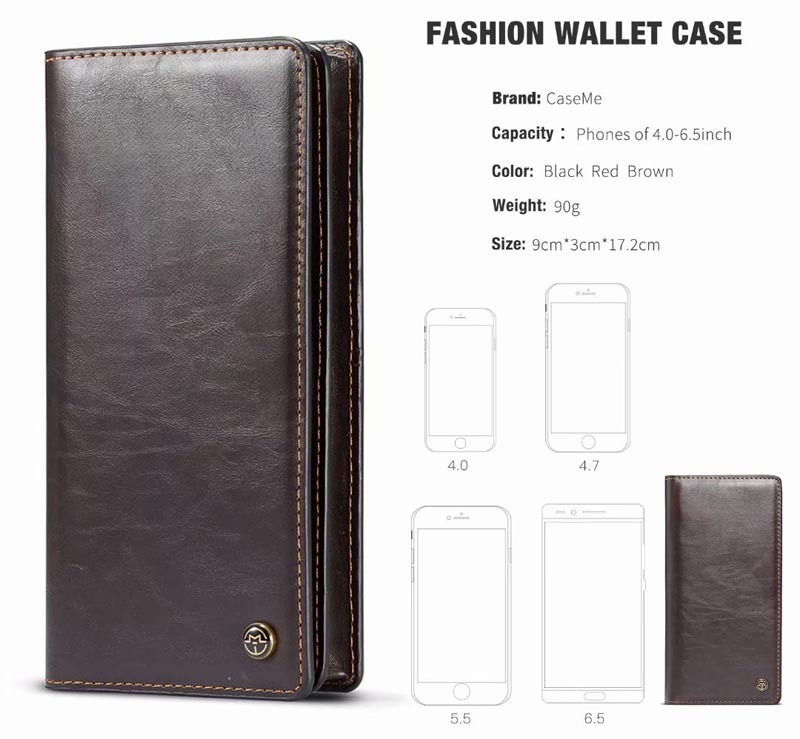 OPPO Find X, OPPO R17, OPPO R17 Pro, OPPO A7x, OPPO R15, OPPO A5, OPPO A73, OPPO R11, OPPO R11 Plus, OPPO A3, etc. 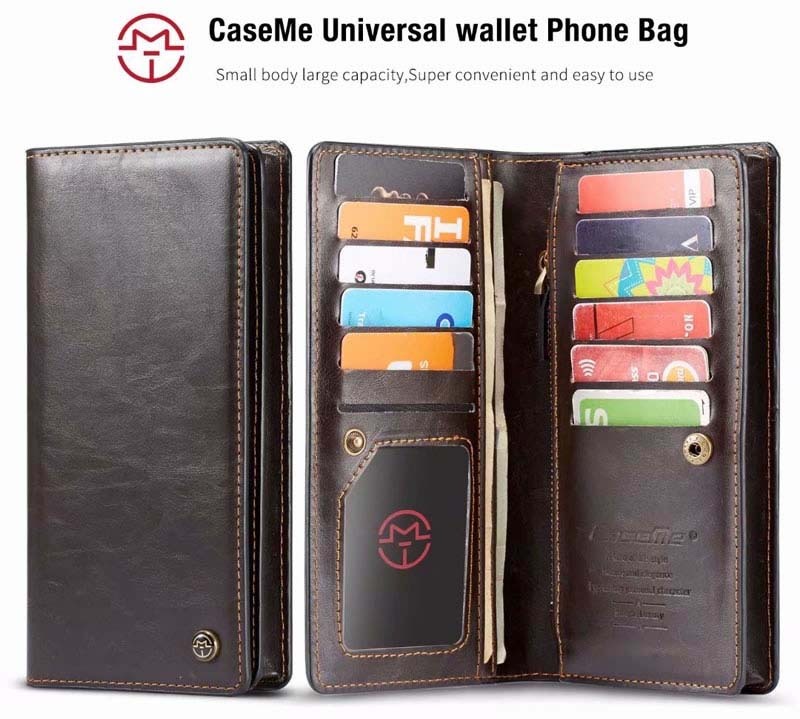 Small body large capatity, Super convenient and easy to use. 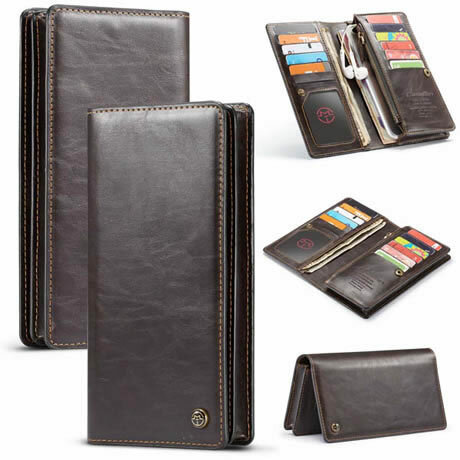 It can hold phones between 4.0 inch to 6.5 inch. 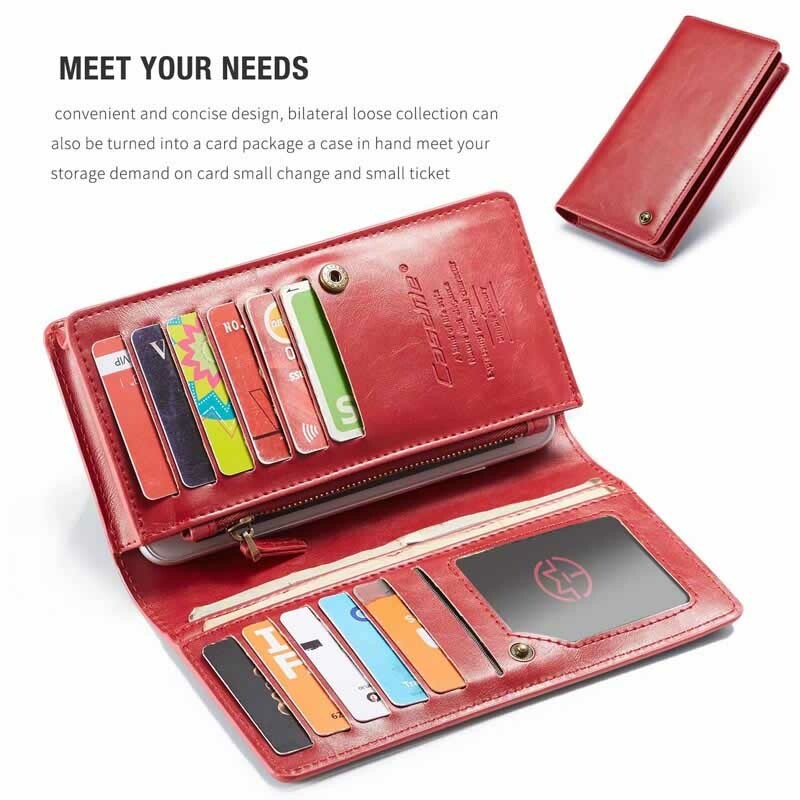 Convenient and concise design, bilateral loose collection can also be turned in to a card package a case in hand meet your storage demand on card small change and samll ticket. 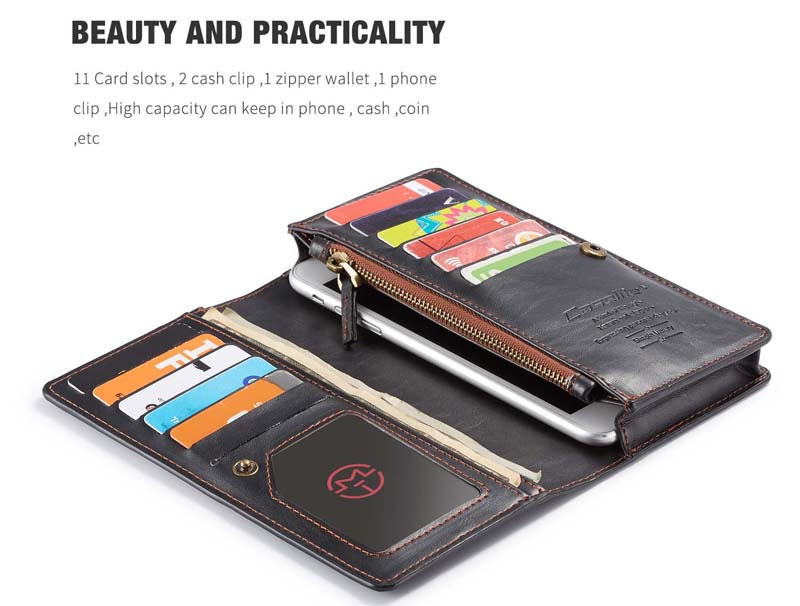 11 Card slots, 2 Cash Clip, 1 Zipper wallet, 1 phone clip, High capacity can keep in phone, cash, coin, etc. 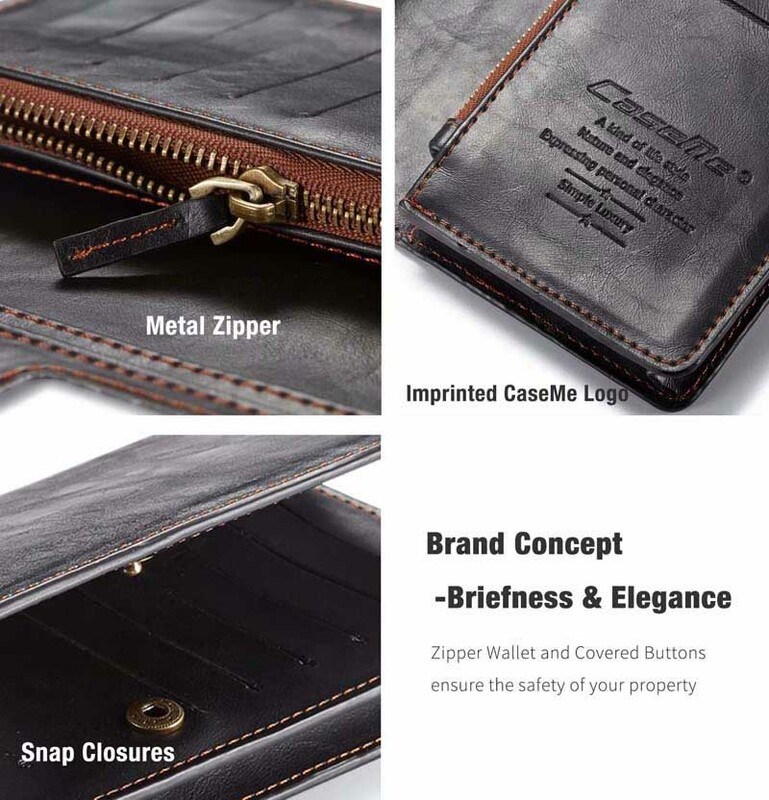 Zipper wallet and covered buttons ensure the safety of your property. 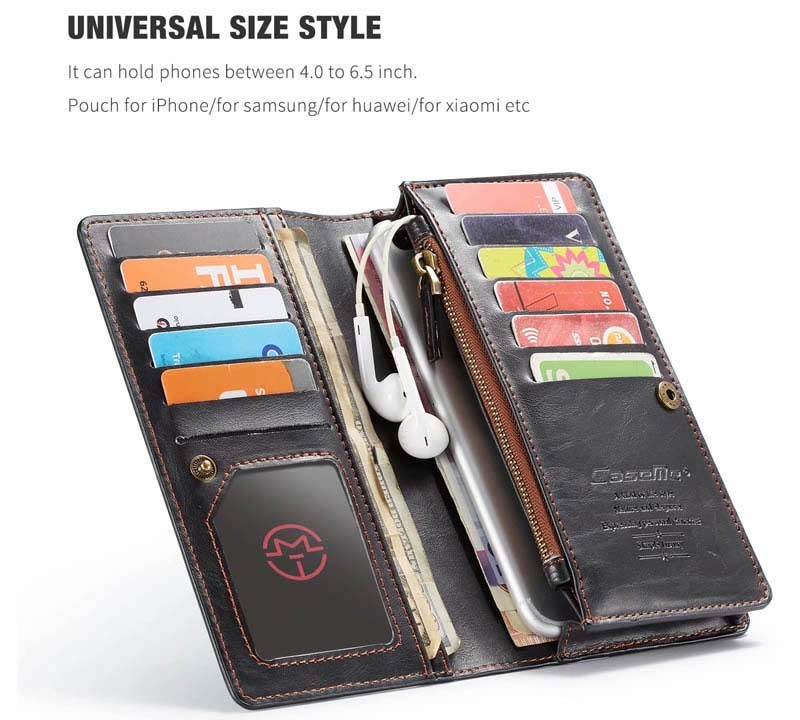 Capacity: Phones of 4.0~6.5 inch; Color: Black, Red, Brown. 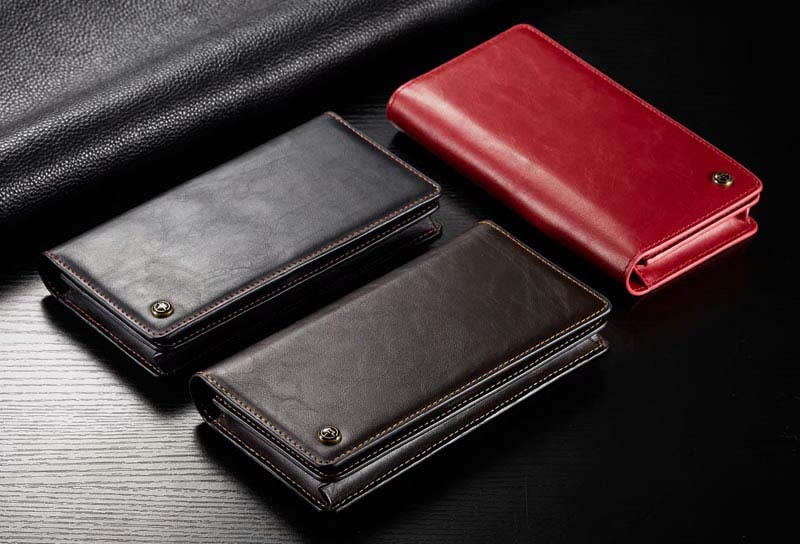 The wallet’s shell is designed to fit your phone and other personal needs. Automatic magnetism, hand and perfect the perfect combination of technology, precision cutting, easy access to all keys, ports and functions. 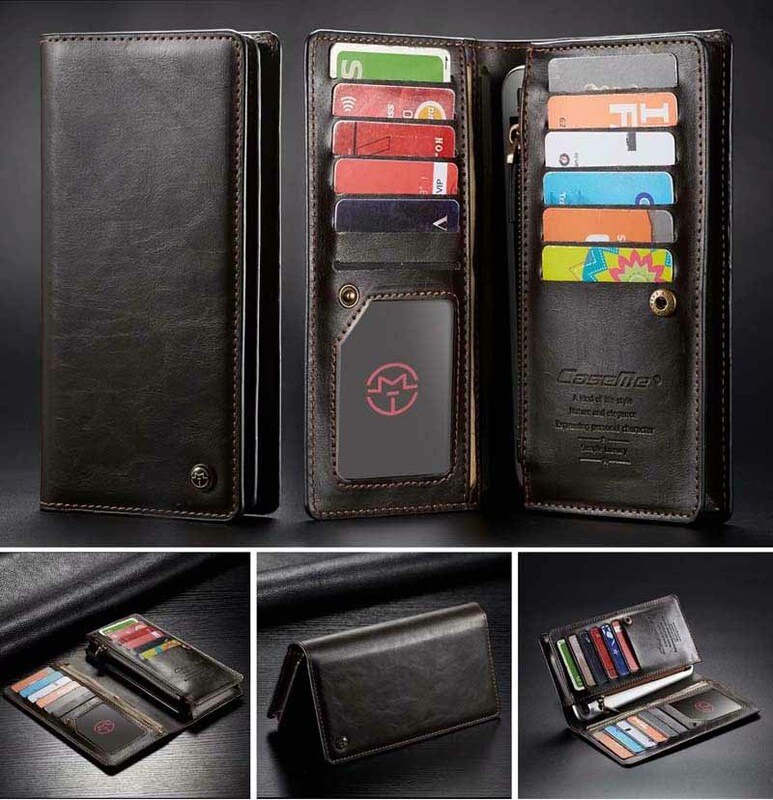 Wallet flip box has a button buckle close,provides 360° protection for you bevice to keep cards and cash inside safely.